How to set-up a workflow? Click on 'Surveys' and then 'Workflows'. Click on 'Workflow Groups' to create the groups of users participating for each step of the workflow. 4. Click on the 'Create Group' button to create the group of users. Click on 'Add Participants' to select and add the users. 5. Click on 'Workflows' and then 'Create Template'. 6. Click on 'Steps' to add a step to your workflow and on 'Groups' to assign the participants for this step. 7. Edit the Workflow Step and select the transition condition under the 'Transition' dropdown. When a workflow step is approved, it will be up to participants of the following workflow step to do the approval. Now that your workflow has been created, you need to assign it to the survey that will be using it. 9. 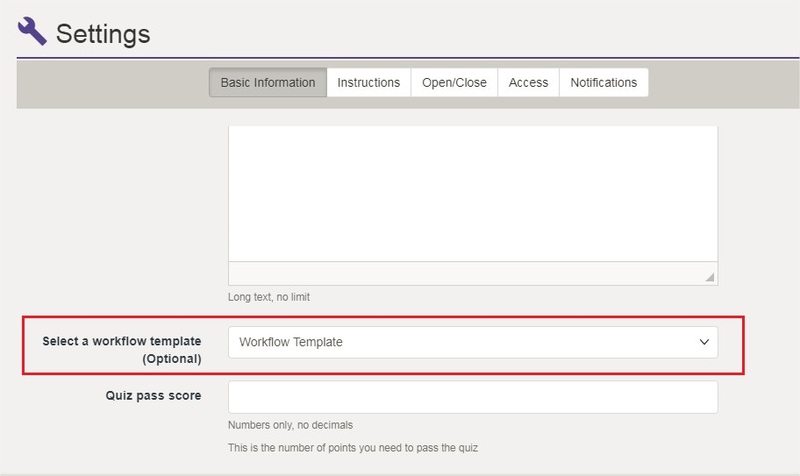 Click on 'Settings' of the appropriate survey and select the workflow under the 'Select a workflow template' field.